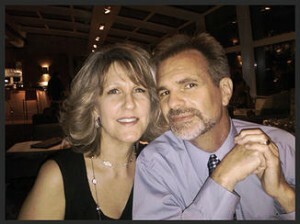 Jay McKinley (pictured at right with his wife, Bari-tennette) is a church planter and is on staff at the Grace Brethren Church of Calvert County in Owings, Md. (Robert Wagner, senior pastor). Grace Church at West Shore is a church plant of Calvert Grace that has been developing since last summer. “The Grace Brethren Church in Calvert County has been praying and dreaming about planting a church for about 10 years,” McKinley explains. “I had been serving as a pastor for nearly 14 years, and the idea of church planting had been presented to me numerous times, but I’d not been convinced that was something God wanted me to pursue yet. Last April, God just really made it clear to my wife and to me that this was what He wanted us to do. “I presented my willingness to the mother church, and they were eager because every door they had explored was closed in the past. This would be the realization of a 10-year dream. The church started branching out immediately, building several programs: a children’s ministry, a Foundations class that meets on Wednesday nights, a “Financial Peace” class that meets in a home on Sunday afternoons, and several other home community groups. “We’re using satellite locations to do a lot of this stuff, which is thrilling to me,” notes McKinley. “We are already seeing people who have not previously been connected to a church being drawn to us. We have multiple people who are dealing with addictions, and one of those young ladies has already become a Christian. I think our church is part of God’s work in their life. They are encountering Christ’s community and it is affecting their desires and their relationships to their addictions. We’ve seen their lives begin to change already, even though there’s a long road ahead. McKinley is excited to see where God takes this new and budding church, which currently draws about 100 people on Sunday mornings.